All the actual rates. Opening hours. Take full advantage of discounts and promotions! Special offers for seniors, groups, ZTP disability card holders or kids. Special weekend offer packages for our partner hotels. 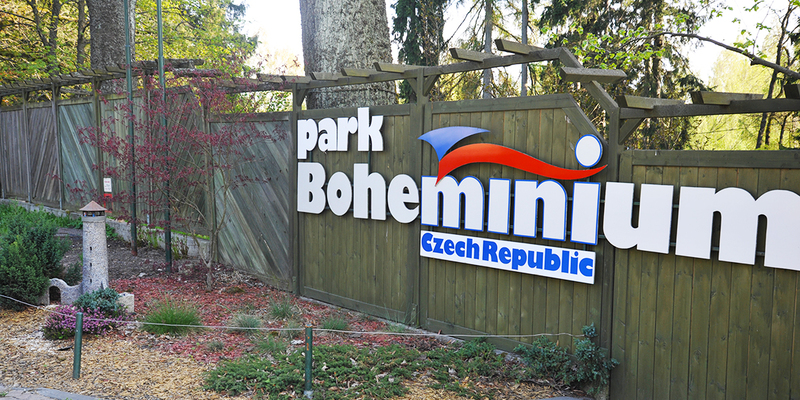 For details see Miniature Park Boheminium opening hours or Prices. Kids (from 3y to 15y) 110 CZK From the day of Birthday of the age / to the day before Birthday of the age. Students 110 CZK Student card needed. Seniors (+ 65 y.o.) 110 CZK Valid ID card needed. ZTP and ZTP/P disability card holders 110 CZK Companion person of ZTP/P disability card holder is for free. Valid card is needed. Group of 20 pax 20% discount Discount is calculated from standard list prices. It does not apply to a single payment. According the Registration of Sales law the seller is obliged to issue a receipt to the buyer. At the same time, he is required to register the received revenue with the tax administrator on-line. In case of a technical failure, within 48 hours. Open daily all year round, inlcuding weekends and holidays. Holiday opening hours: from 1st July to 31st August we are open daily from 10 a.m. to 7 p.m.! Including national holidays. Winter opening hours: from 1st November to 31st March we are open until 5 p.m., including weekends and holidays.